A US private equity company has been accused of misleading the government about the biggest sale of state assets in UK history. BBC Panorama has discovered Cerberus told the government it was planning to offer homeowners better mortgage deals before its £13bn purchase of former Northern Rock mortgages in 2016. But the company hasn’t provided any new mortgages and 65,000 homeowners are still trapped on high interest rates. Many of the homeowners are mortgage prisoners, who cannot shop around for a better deal because their loans are too large or their credit rating has been damaged. Lisa and Mark Elkins have to pay £2,500 a month on their mortgage because their interest rate is nearly 5%. That’s about three times the best market rate. They have tried to keep up with the monthly payments by taking on extra jobs and working long hours. The couple has also borrowed £20,000 from family and friends. The couple has been trapped on high interest rates since the government took over Northern Rock in 2007. BBC Panorama has calculated that the high rates have cost the Elkins an additional £30,000 over the past decade. At the time of the £13bn sale, the government bank, UKAR, told Lord McFall that homeowners should get better mortgage deals from Cerberus. In a letter to the peer, UKAR said that “by returning ownership to the private sector the option to be offered new deals, extra lending and fixed rates should become available to them”. A UKAR spokesman told the programme that Cerberus had the ability to lend to the former Northern Rock customers and that UKAR believed they intended to do so. Panorama understands that the information presented to UKAR was in the pitch documents Cerberus submitted when it applied to buy the mortgages. They said they planned to “evolve into an online challenger bank” providing customers with “a wider range of products”. Before the sale was finalised, however, the Financial Conduct Authority told Cerberus it couldn’t offer new mortgages until it put the right systems and people in place. Nearly three years later, Cerberus still hasn’t done that. Some of the homeowners say that as well as paying high interest rates, they have also been poorly treated by Cerberus. Rachel and Adrian Neale, from Hinckley, fell into arrears on their mortgage when Rachel became seriously ill with Crohn’s Disease. They have paid off most of the arrears and have kept up their monthly payments with Cerberus’s mortgage company, Landmark Mortgages. But Landmark keeps making mistakes and issuing default notices. The couple say they have already made about 70 complaints and that nearly all have been upheld. It can take hours on the phone to sort out the mistakes and the default notices have badly affected Adrian’s building business. 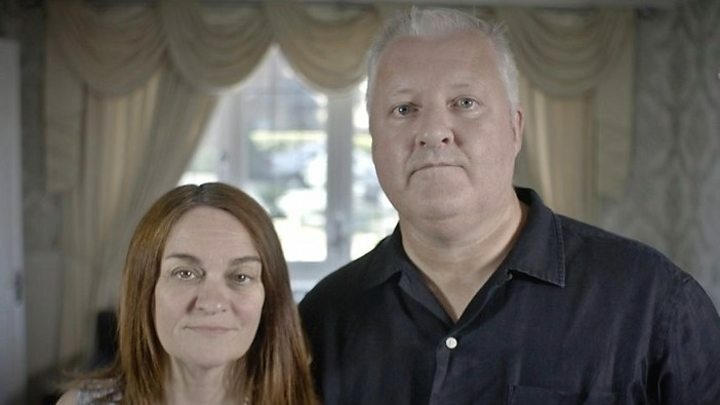 Watch BBC Panorama: Trapped by My Mortgage, Monday 22 October 20:30.